In January-April 2018 in Russian seaports handled 260.1 mln t of cargo (+3.7%, year-on-year), says the press center of Association of Commercial Sea Ports. 1.7 mln t of timber cargo. 7.1 mln t of liquefied gas (+40.5%). 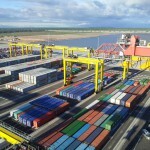 For 4 month 2018 total container turnover of Russian seaports increased by 13.8% year-on-year to 1.65 mln TEU, including imports — 712.95 thou TEU (+14.7%); export – 695.1 thou TEU (+14.9%); cabotage — 217.6 thou TEU (+8.6%), transit — 22.46 thou TEU (+4.4%); refrigerated containers – 192.2 thou TEU (+20.4%). According to the latest figures issued by JSC of RZD, loading on the network of Russian Railways in January-April 2018 amounted 424.6 million tons (+3.4% y-o-y), from which 108.9 million tons accounted for April. 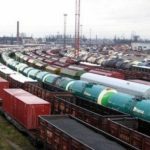 In January-April 2018 freight turnover on Russian Raiways network amounted 852 bn. tariff ton-km (+4.8%), freight turnover into account empty wagon runs – 1086.6 bn ton-km (+4.4%). From which 215.5 bn tariff ton-km accounted for April, with taking into account empty wagon runs – 274.6 bn. ton-km (+5.1%). 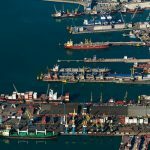 In January-March 2018 in Russian seaports handled 189.7 mln t of cargo (+3.4%, year-on-year), says the press center of Association of Commercial Sea Ports. 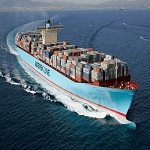 1.6 mln t refrigerated cargo (-7.2%). 5.3 mln t of liquefied gas (+41.5%). In 3 month 2018 total container turnover of Russian seaports increased by 12.6% year-on-year to 1.2 mln TEU, including imports — 527.1 thou TEU (+14.6%); loading export – 310.4 thou TEU (+12.2%), empty export – 191.2 thou TEU (+14.1%); cabotage — 156.5 thou TEU (+7.9%), transit — 13.5 thou TEU (-11.2%); refrigerated containers – 137.2 thou TEU (+20.3%). According to the latest figures issued by JSC of RZD, loading on the network of Russian Railways in January-March 2018 amounted 315.7 million tons (+3.5% y-o-y), from which 112.4 million tons accounted for March. In January-March 2018 freight turnover on Russian Raiways network amounted 636.2 bn. tariff ton-km (+4.6%), freight turnover into account empty wagon runs – 811.7 bn ton-km (+4.1%). From which 224.2 bn tariff ton-km accounted for March, with taking into account empty wagon runs – 285.7 bn. ton-km (+4.1%). In January-February 2018 in Russian seaports handled 121.7 mln t of cargo (+4.4%, year-on-year), says the press center of Association of Commercial Sea Ports. 419 thou t refrigerated cargo (-7.2%). 3.4 mln t of liquefied gas (+34.9%). 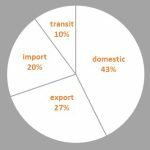 Export cargo handled 94.8 mln t (+2.7%), imports – 5.5 mln t (+13.5%), transit – 10.1 mln t (+18.1%), cabotage – 11.3 mln t (+4.1%). 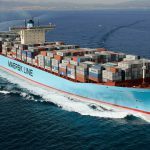 In 2 month 2018 total container turnover of Russian seaports increased by 14.9% year-on-year to 771.2 thou TEU, including imports — 343.1 thou TEU (+17.1%); export – 316.8 thou TEU; cabotage — 102.3 thou TEU (+12.6%), transit — 9 thou TEU (-4.4%). According to the latest figures, loading on the network of Russian Railways in January-February 2018 amounted 203.3 million tons, which is on 3.7% more than in the same period last year, says press-center of the company. In January-February 2018 freight turnover on Russian Raiways network amounted 411.7 bn. tariff ton-km (+4.8%), freight turnover into account empty wagon runs – 525.7 bn ton-km (+4.1%). Of these in February – 196.3 bn. tariff ton-km (+3.7%), with taking into account empty wagon runs – 251.3 bn. ton-km (+3,4%). 2017 year-end in Russian seaports handled 786.97 mln t of cargo (+9%, year-on-year), says the press center of Association of Commercial Sea Ports. 3.1 mln t refrigerated cargo (-0.3%). 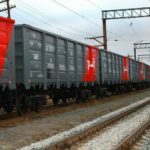 According to the figures, published on the company’s website, the network owned by Russian Railways for whole 2017 year loaded 1.26 bn t of freight, which is 3.2% more than in the same period last year, including 110.2 mln t (+4.8%) which is loaded in December. Freight turnover for whole 2017 year amounted 2.49 trln tariff ton-km (+6.4%), freight turnover taking into account empty wagon runs amounted 3.17 trln tariff ton-km (+6%). For December 2017 freight turnover amounted 219 bn tariff ton-km (+5%), freight turnover taking into account empty wagon runs amounted 278.8 bn ton-km (+4.4%).